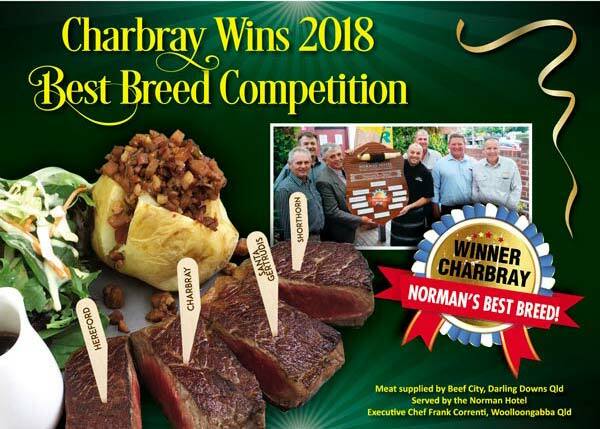 ﻿ Charbray Society of Australia Ltd.
Wednesday 25th of September, 2019. CQLX (Gracemere Saleyards), Rockhampton, Queensland. 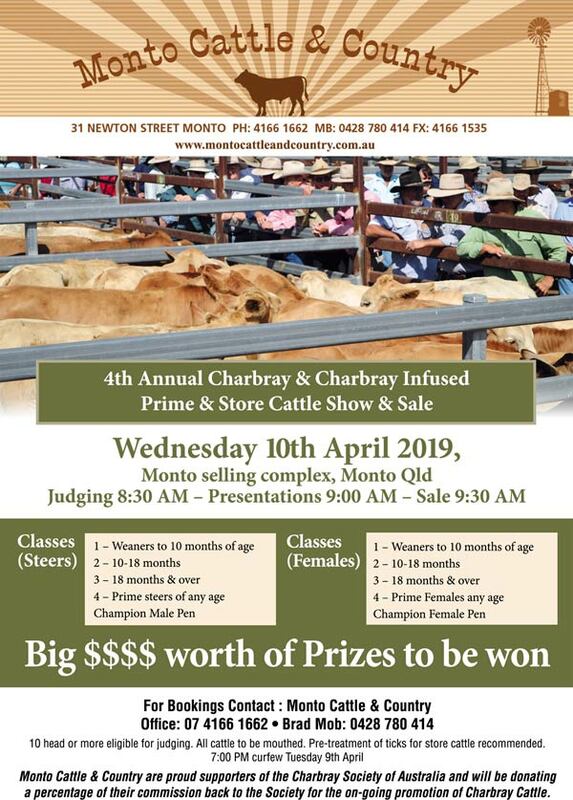 10th April 2019, Monto Selling Complex QLD. 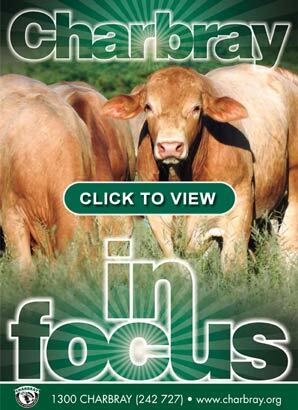 Charbray In Focus Magazine available now…..
Want Consistency ? 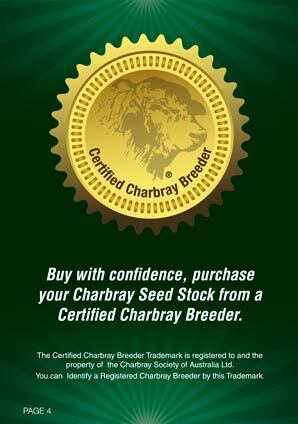 - Then purchase your Charbray Seed Stock from a Registered Charbray Breeder who has nurtured, measured and developed his herd to a selected criteria, he or she is going all the way and not just breeding a throw away product simply to supply a market and help cash flow.